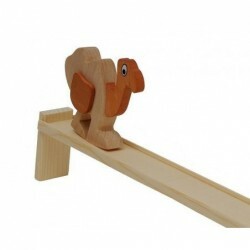 This dino called Stegosaurus walkes on the track down. When we move the stegosaurus gently back and let it go, then the animal is walking itselves. 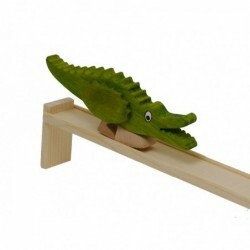 Yours kids would like to see the stegosaurus walking again and again. 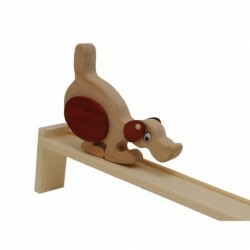 It is good for kids who look for the things and toys around or play with this toy itselves. 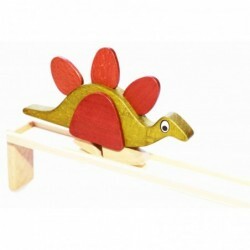 The stegosaurus is made of beech wood, the track is made of spruce wood. Measures 8H x 42W x 7,5D (cm).